I was given the opportunity to make this beautiful pattern by Puzzle Patterns. 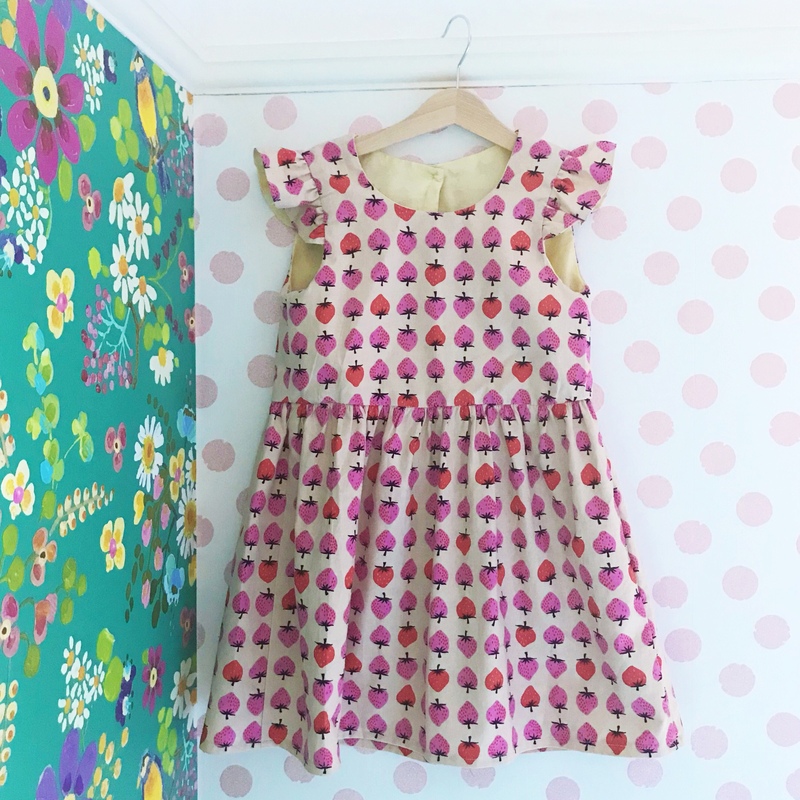 It is called the Merry Go Round dress and is part of a set of patterns that can be mixed and matched to make many different combinations. 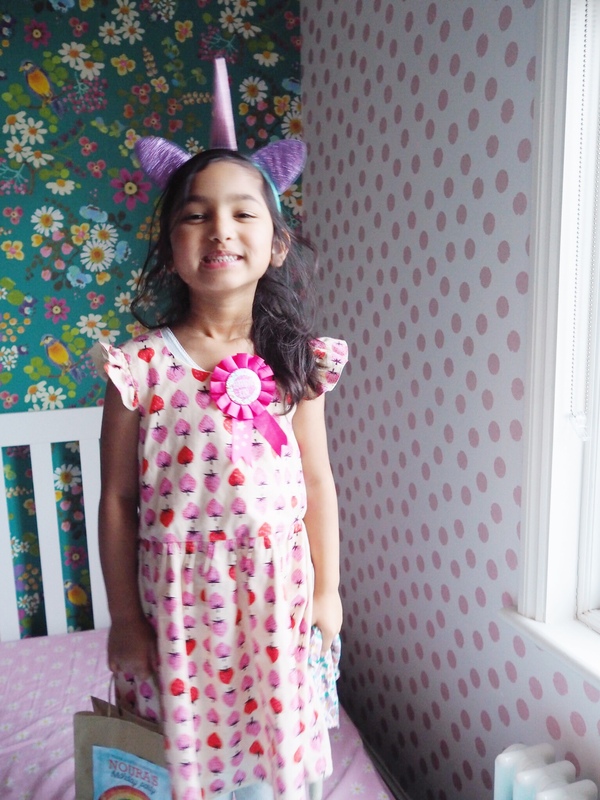 I thought it would be perfect for this Kim Kight fabric I had been saving for a dress for my daughter, and I decided to make it to wear at her birthday party. 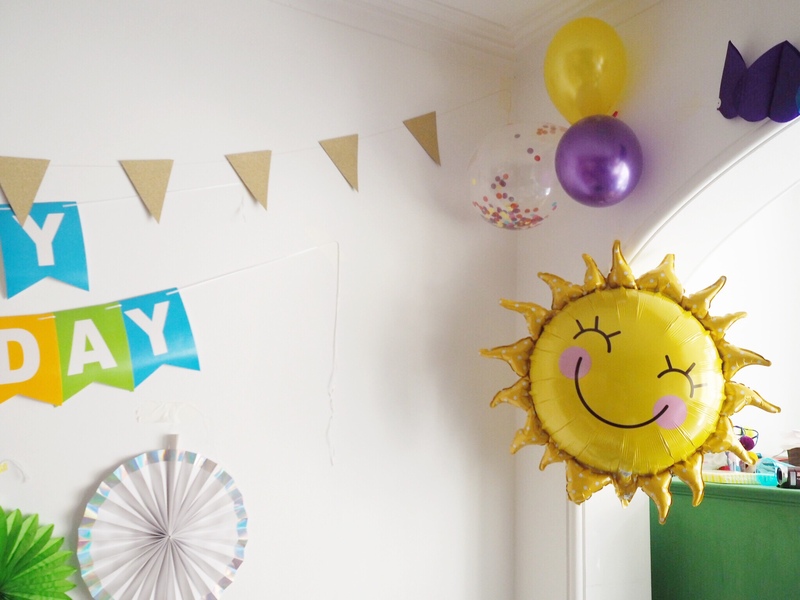 I love party decorating, even though I’m not always very organised about it! 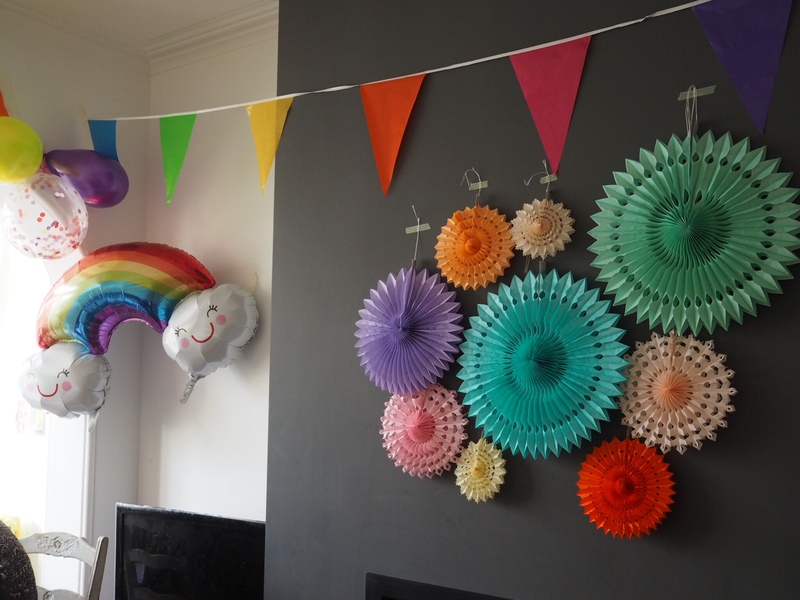 We decided to have a rainbow themed party at home. 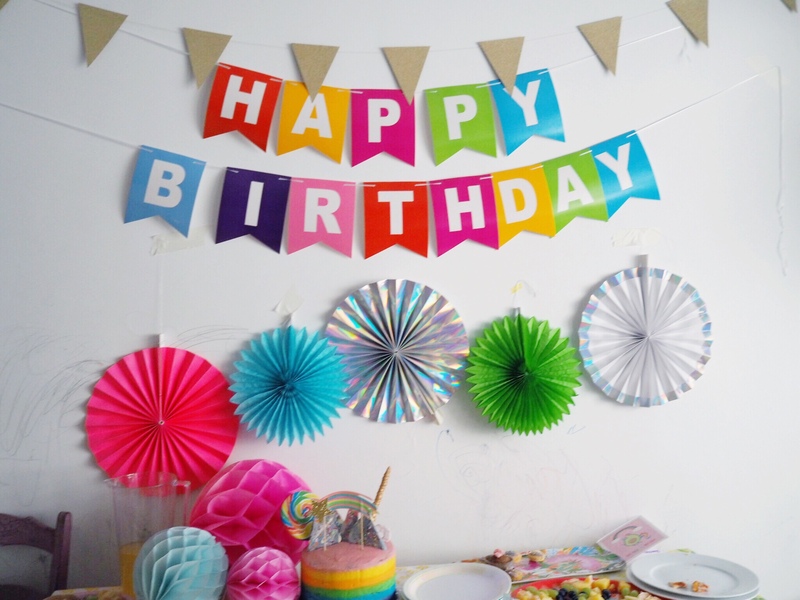 Decorations are from Baking Time Club and Hello Party, with a few things from Hema and Tiger. The paper fans above the fireplace are from Amazon. 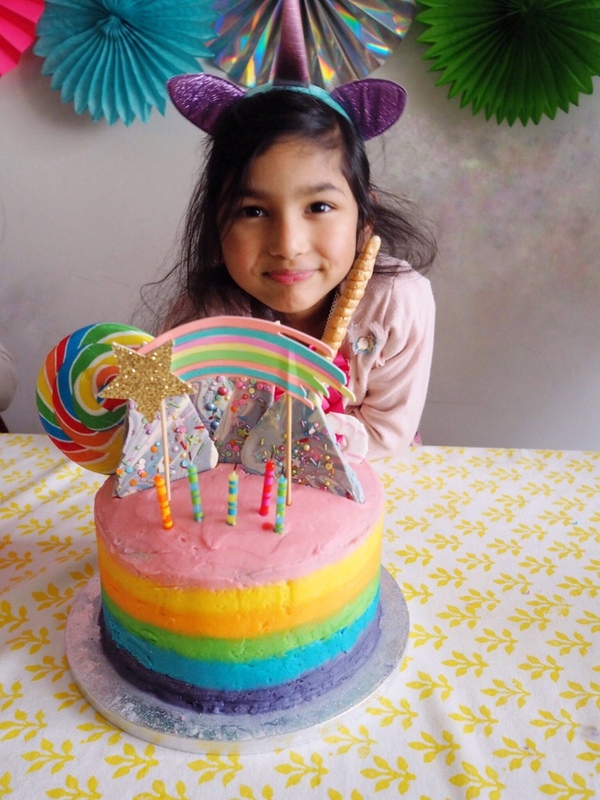 I made a rainbow cake, using a tutorial from Cupcake Jemma on youtube, with six rainbow layers inside the cake. 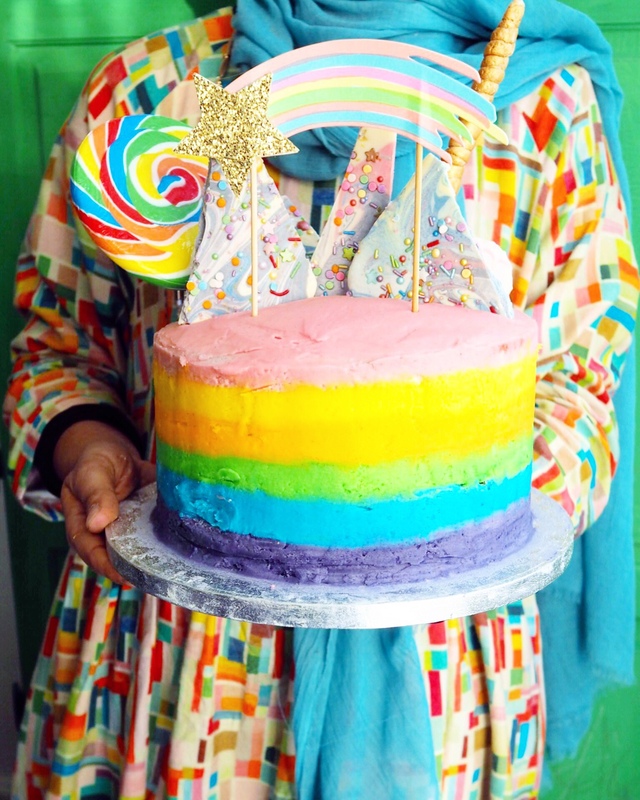 The rainbow buttercream was a bit nervewracking but it was not the unfathomable wizardry I had thought it was! 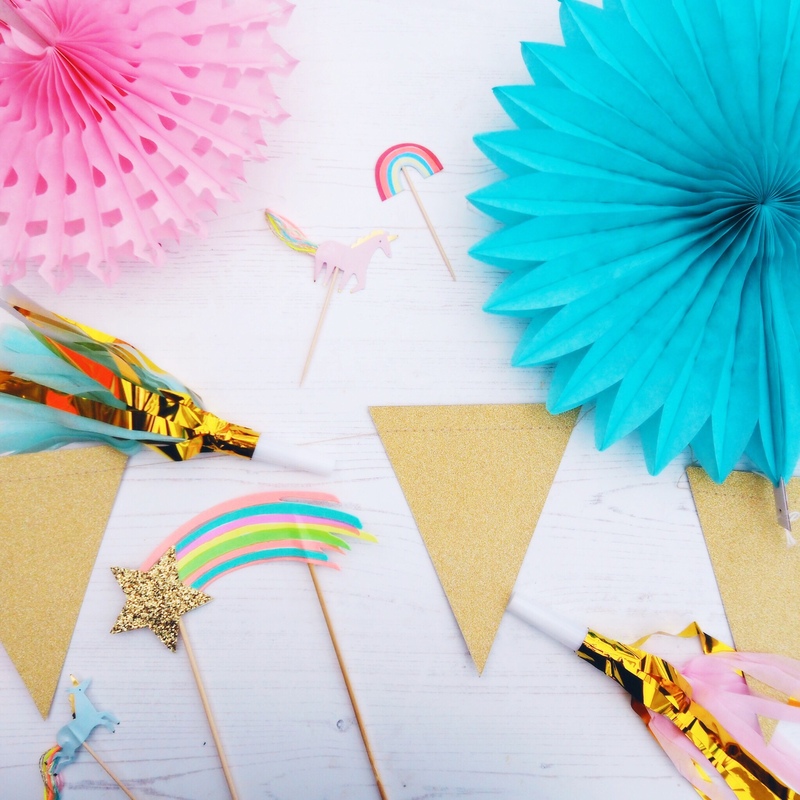 It’s worth giving a try, and really fun, although all those colours mean there is a lot of washing up to be done afterwards! 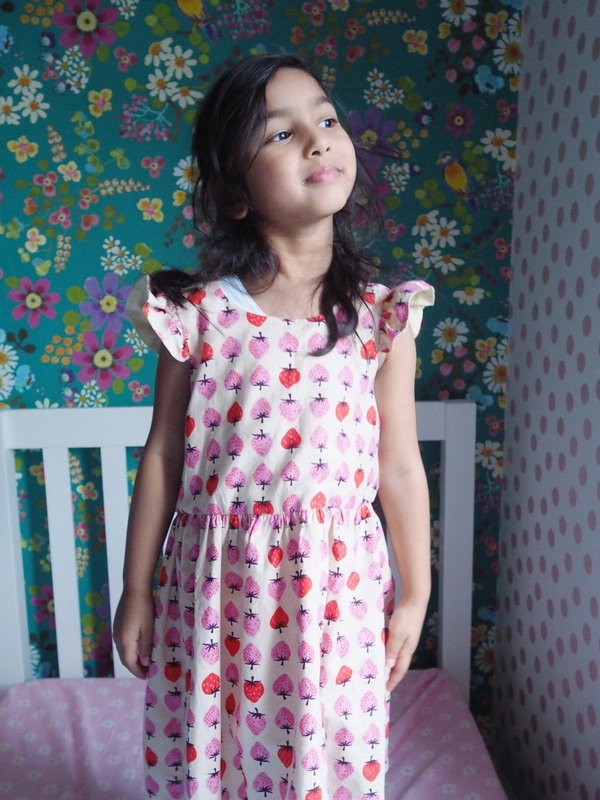 I made a six year old size which is still quite big but I wanted her to be able to wear it next summer as she is growing quickly! 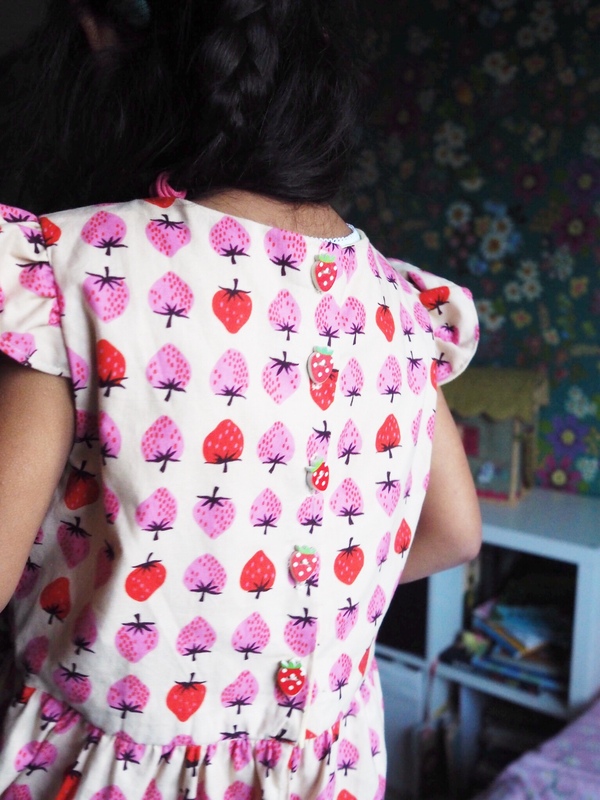 I added these sweet strawberry buttons on the back button panel. I had some problems with the automatic buttonhole setting on my Bernina so had to do them manually, but they still look reasonably neat. 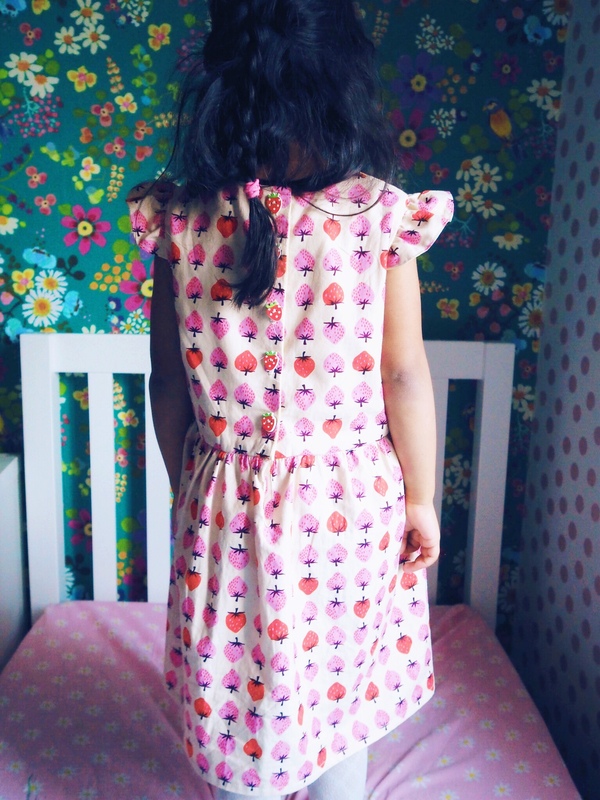 The pattern is very well written with lots of illustrations and ideas for customising. 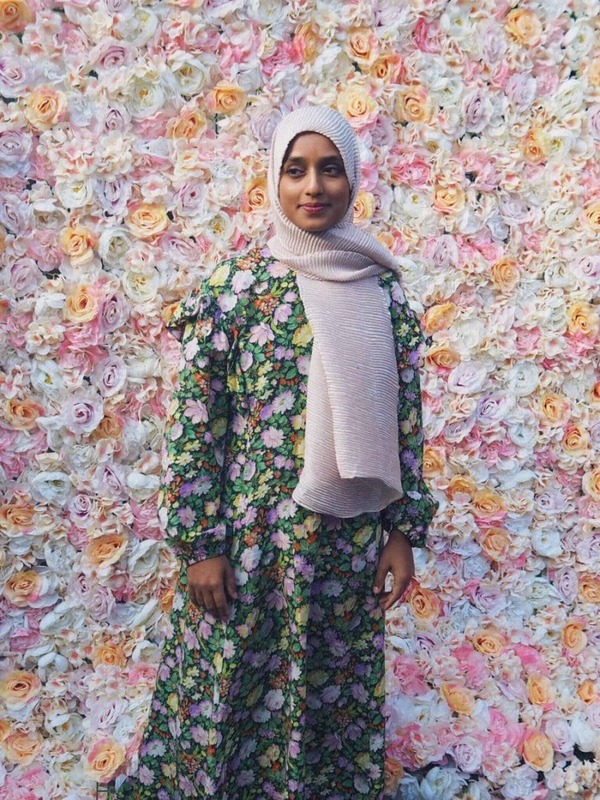 There are lots of options for adding frills to the neckline or sleeves. 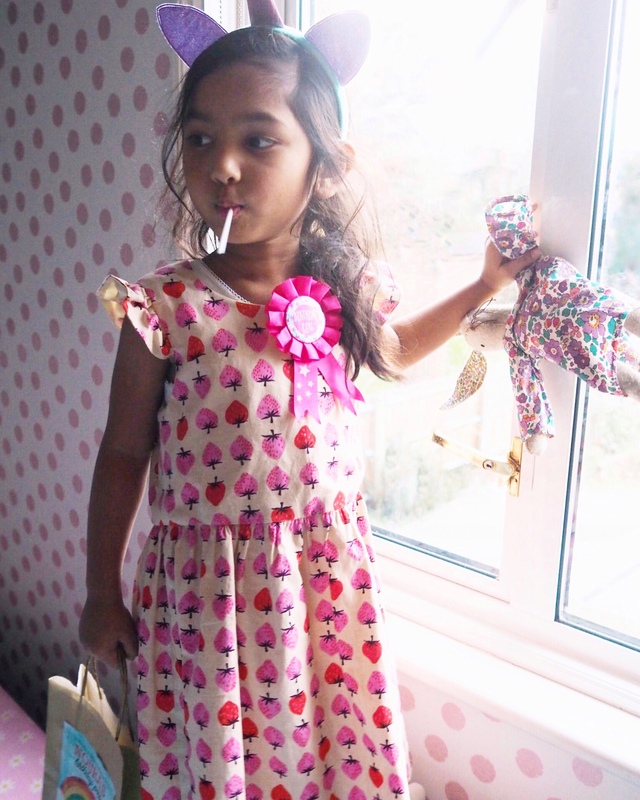 The Romper or dungarees options are also adorable! Have a look at the Puzzle Patterns website for more ideas and lovely examples. 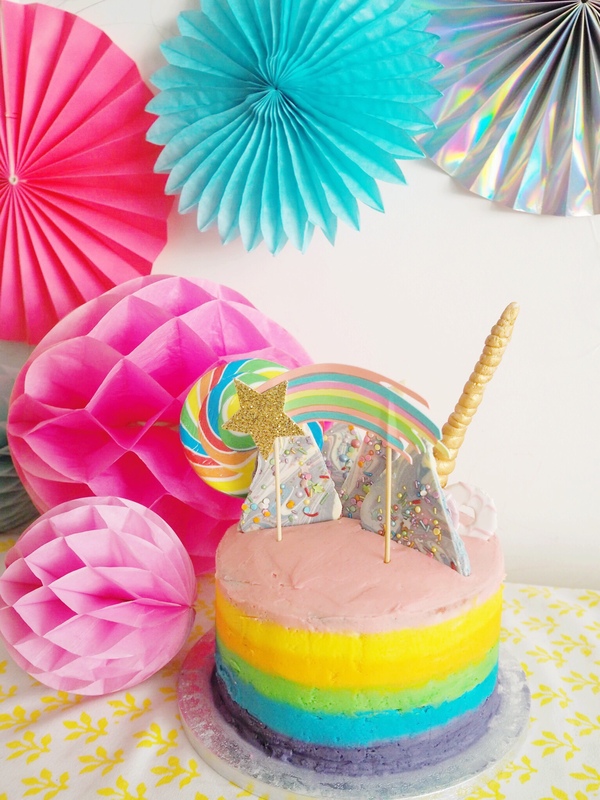 And one last pic of the rainbow cake as it just cheers me up!